As well as trying out some of Gerry's cameras, what I'm really supposed to be doing is sorting them out. So far this has only meant opening the boxes and separating them into different piles according to make. And they really are piles: jumbled, chaotic, teetering heaps - I think your average collector would be horrified. The biggest one by far is a small mountain dedicated to Voigtlanders - Gerry's collecting passion. I thought it was time to give one a go, and this slightly tatty Prominent rolled off the top as I opened the door so it seemed to be as good a one as any to choose. Voigtlander can lay claim to be the oldest brand in photography, having started making lenses in 1756, and the brand still exists today on a range of lenses and cameras made by Cosina. 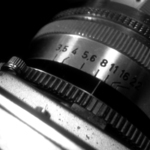 Amazingly they still produce a 35mm rangefinder. 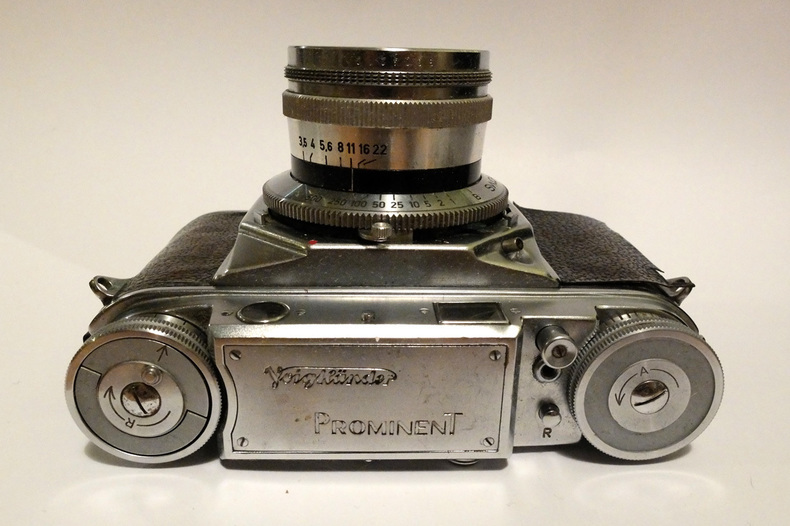 The Prominent is one of a range of cameras Voigtlander launched in 1950 and was in the upper end of the price range. 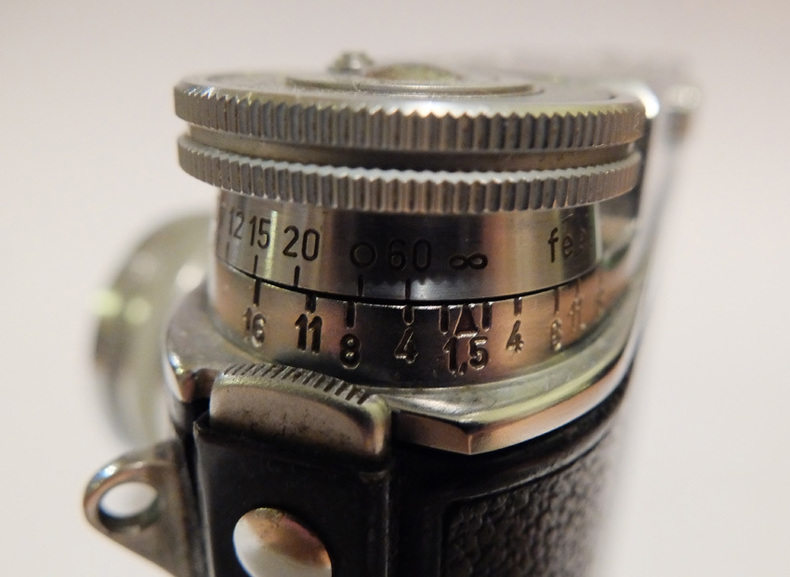 With a coupled rangefinder and interchangeable lenses, it seems to have been intended to rival Leica and Contax, but by all accounts never really caught on in the same way as those classic 35mm cameras. It's good looking - a sort of purposeful elegance with remnants of art deco styling. This particular example is a Prominent 1, so would have been made in the very early fifties. 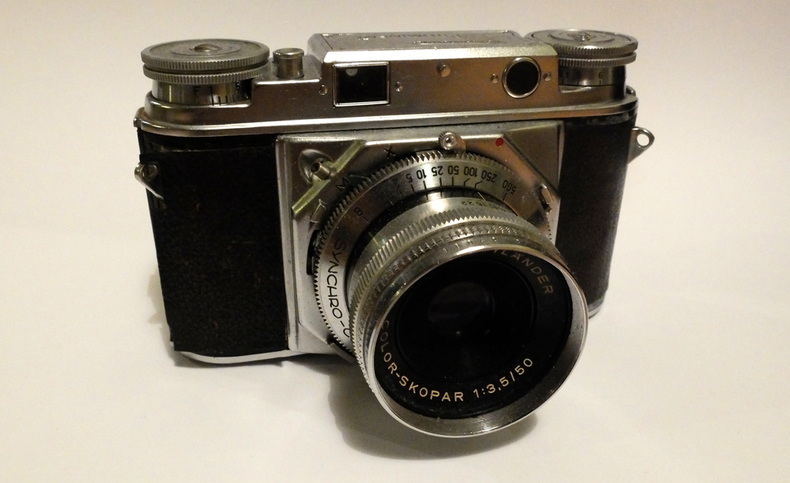 Later models had larger viewfinders and a wind-on lever rather than just a knob - both improvements I could have done with as I struggled with the rangefinder (I wear glasses) and the wind on is just awkward. Despite looking nice, ergonomically it's just not quite right. Primarily this is due to the focus knob, which sits around the rewind lever - a position my hand is never naturally near when holding a camera, and which also resulted in me repeatedly knocking my cap off my head whenever I moved my hand to focus. Niggling things like this can put you off a camera, but I persevered anyway, albeit with a cold head. 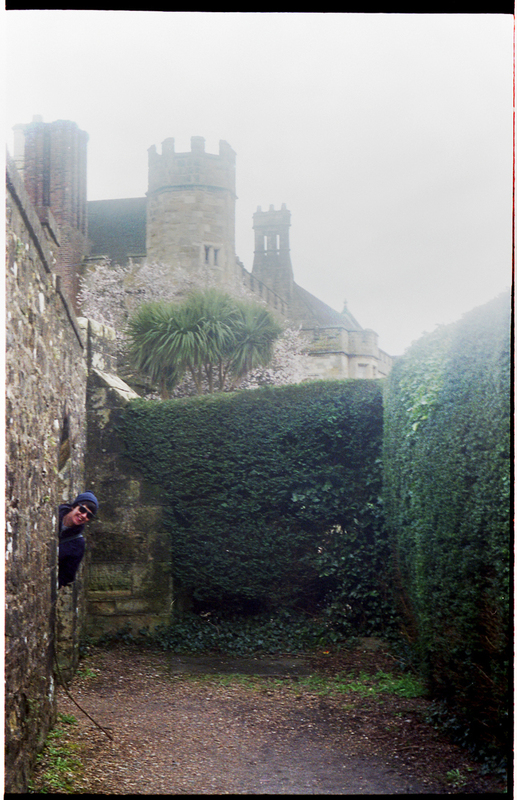 The slight haze in this shot turned out to be due to the rear element of the lens having a coating of 'Greenslade Faust'. This was the name Gerry gave to the sort of creeping dust/mould/grease combination that afflicted a large number of his possessions. Although the faust was named after his house, I think Gerry was fully aware its primary cause was his aversion to housework. Here's a nice shot of Ronnie, my nephew. 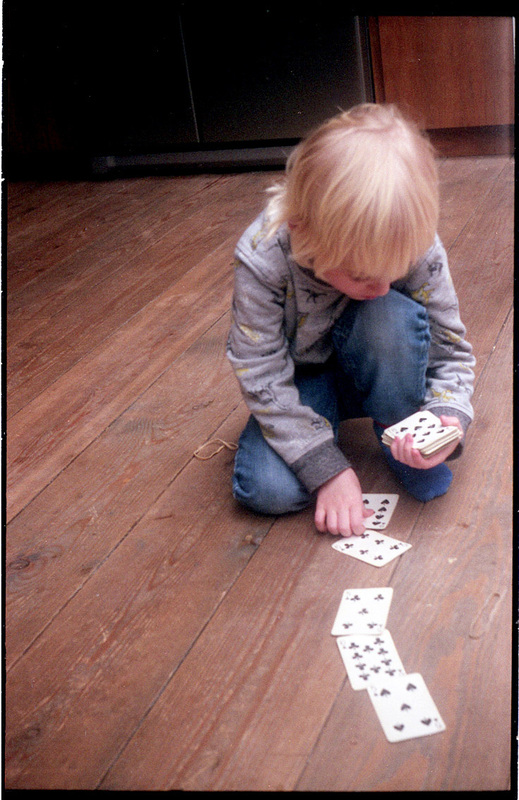 I'm quite pleased with the way the line of cards, and the lines in the floor, draw you in to the shot. We acquired a new member of the family whilst I was testing the prominent. 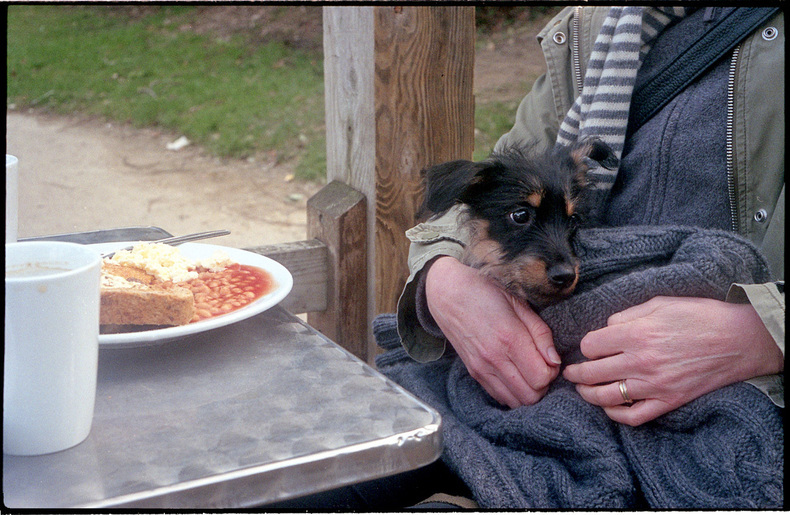 Here's Ziggy on a cold day in the park, when we realised that having a dog meant having to eat your fry-up outside. 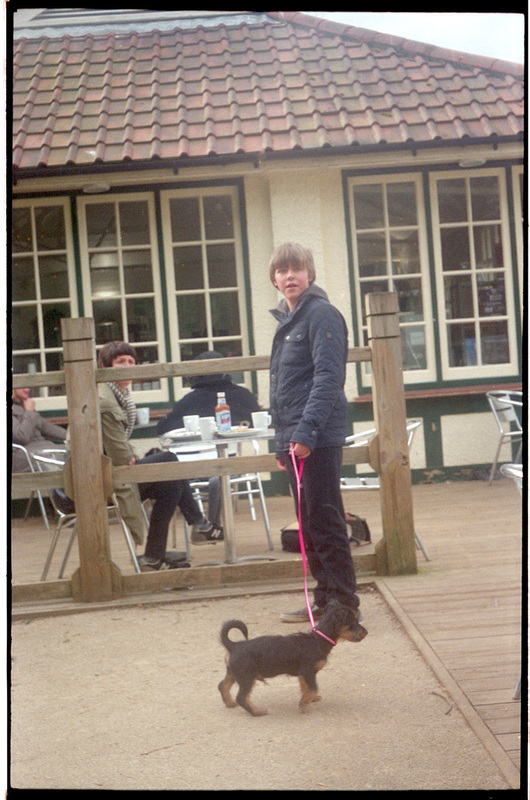 Finally, here's a shot of Sam with his new dog. I like this image, as Sam is about to turn thirteen and is becoming more independent, but there's his mum in the background still keeping an eye on him. I'm aware it's a bit wonky, but when I tried to crop it straight it somehow lost something so, in the end, I left it as it was. The Prominent is evidently a quality bit of kit, and I got some reasonable results with it, but I didn't really like using it. Given the number of Voigtlanders in the collection, this could prove to be a problem. I hope I'll find one or two I love using, rather than merely admiring as collector's pieces.